Mr. Yung Wook Yoo won the Grand Prize and Gold Medal of the 13th Paloma O’Shea Santander International Piano Competition which was granted by unanimous vote from the jury in August, 1998. This prize included important concert tours and recitals throughout the world as well as a recording contract with a major label. The concerts involved participation in world class festivals in Spain, Germany, France, Portugal, Japan and various countries in South America. 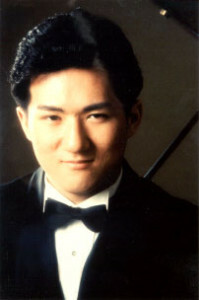 Mr. Yoo recorded his first commercial CD under the Naxos Label, featuring piano transcriptions by Franz Liszt in November, 2000. He has also recorded the Elegiaque Piano Trios of Sergei Rachmaninov. Mr. Yoo has also been the winner of several national and international competitions; among them, the prestigious Kosciuszko Chopin Competition in the United States (1994) and the Montreal International Music Competition (1996). Mr. Yoo has performed with the Orchestra National de Lille, Orchestra National de France, St. Petersburg Symphony Orchestra, Orquesta Nacional de Espana, Orquesta Ciudad de Malaga, Orquesta Nacional de la Republica Dominica, Orquesta Sinfonica de Tenerife under the baton of notable conductors such as Pinchas Steinberg, Jesus Lopez Cobos, Rafael Fruhbeck de Burgos and Victor Pablo. The prestigious concert venues he has performed in include Wigmore Hall in London, the 92nd St. Y in New York, Tonhalle in Zurich, UNESCO Hall in Paris, Palau dela Musica in Barcelona, the Auditorio Nacional de Musica in Madrid, and the Al Bustan Festival.